20297: Acronis Disk Director: Operation Errors Out with "Cannot process 'Disk #' because its sector size is unsupported"
Cannot process 'Disk #' because its sector size is unsupported (1024 bytes). Cannot process 'Disk #' because its sector size is unsupported (4096 bytes). 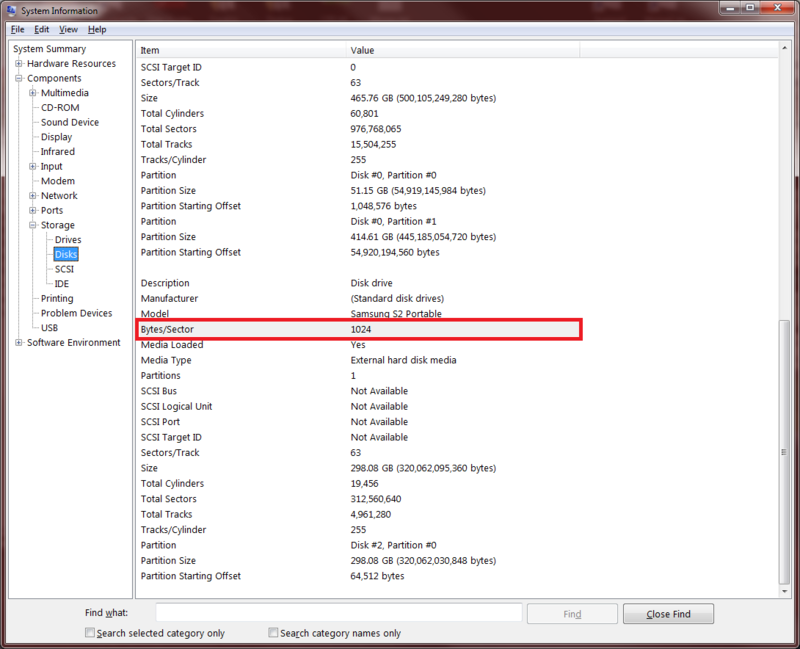 Acronis Disk Director only supports disks with 512 bytes logical sector size. Some USB hubs, adapters and other interconnectors change the logical sector size, that is presented to the system, to 4096 bytes or other values. Try connecting the disk directly to the disk controller on the motherboard via SATA/IDE/SAS/FC cables. If it is already connected this way, there is no other solution at the moment. Physical sector size parameter is not taken into account, only logical sector size matters for this limitation. The majority of the disks today have 512 bytes logical sector size. For example, Advanced Format disks have a 4 KB physical sector size and emulate a logical addressing interface of 512 bytes.